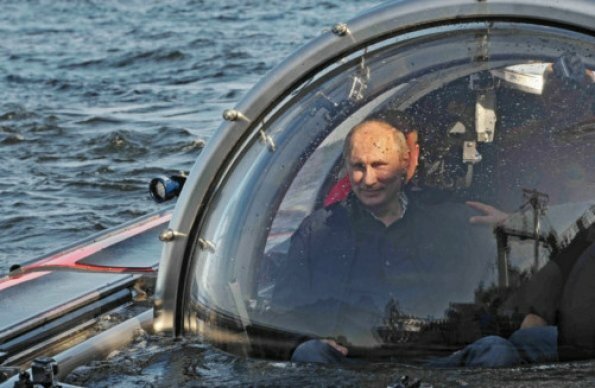 Vladimir Putin dived to the bottom of the Baltic Sea in a mini submarine to explore a shipwreck. The Russian president boarded an underwater research vessel to make the half-hour dive to the wreck of the frigate, Oleg, which sank in the Gulf of Finland in 1869. Vladimir Putin, who is fond of presenting himself to the people as a man of action, said the wreck, found in 2003, was well-preserved. During the trip, Vladimir Putin also spoke about the fate of Edward Snowden, the former US spy agency contractor turned fugitive secrets leaker. The president said that Edward Snowden was shifting towards stopping “political activity” directed against the United States. He had previously ­refused to hand Edward Snowden over to the US authorities, but said the fugitive’s situation remained unresolved after Washington had blocked his further movement. Vladimir Putin said that Edward Snowden should stop activity harmful to the US if he wanted refuge in Russia, but now saw signs that the former contractor with the National Security Agency (NSA) was moving in this direction.